Aside from anything else she has achieved, writer-director Debra Granik has launched the careers of two stellar actresses. The first was Jennifer Lawrence in Winter’s Bone (2010) and the second is 18-year-old Thomasin McKenzie in this remarkable film. McKenzie plays Tom, the teenage daughter of Will (Ben Foster). When we meet them, they have lived for some years on the outer margins of American society, in the huge Forest Park just outside Portland, Oregon. Here they make their own makeshift home in the woods, visiting the city once a week for provisions. One day, Tom, despite strict instructions from her father to remain hidden, is seen by a passing jogger and this leads to the police discovering the couple, removing them from the park and altering the future course of their lives. 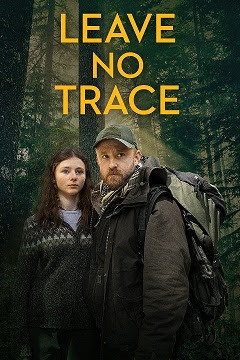 Leave no Trace is by no means a pseudo-hippy paean to going back to nature. The script – co-written by Granik and Anne Rosselini, based on the novel My Abandonment by Peter Rock – makes it clear that living in the bush is not for sissies. The point is implied rather than spelt out, but we gather that the couple’s situation has arisen because Will is allergic to social life because of post-traumatic stress disorder suffered as a result of military service. We quickly understand that Will’s character won’t change, and that Granik’s real intention is to trace his daughter’s journey of self-discovery, a process that leads to Tom gradually separating herself from her father. This is a film that is quietly, thrillingly unusual. For a start, it knocks most Hollywood plot clichés firmly on the head. There are no heroes and villains, no crude “character arcs” and no crass ticking of thematic boxes. In fact, all the people we encounter are real, caring, ordinary people, albeit that they live precariously on the edge of American society. Those who enjoyed Winter’s Bone can find some parallels in this movie, particularly the sense that the director feels an intense empathy for fragile rural communities, virtually invisible within the greater America. Empathy, in fact, is the key word to describe this film. It is to be found in the minimalist script, Granik’s intimate direction and the brilliant performances of Ben Foster and Thomasin McKenzie with the latter perhaps stealing the film and prompting Oscar talk.